There have been many theories thrown around on how to drink the best Bloody Mary. Some people feel that making an awesome Bloody Mary bar and letting people cater to their own taste is the best philosophy. Others swear that the importance is ultimately in the hot sauce. Then, there are the believers in "bigger is better" when it comes to the accoutrements that top this brunch cocktail. They are all wrong. It's all about the pickle-infused vodka. 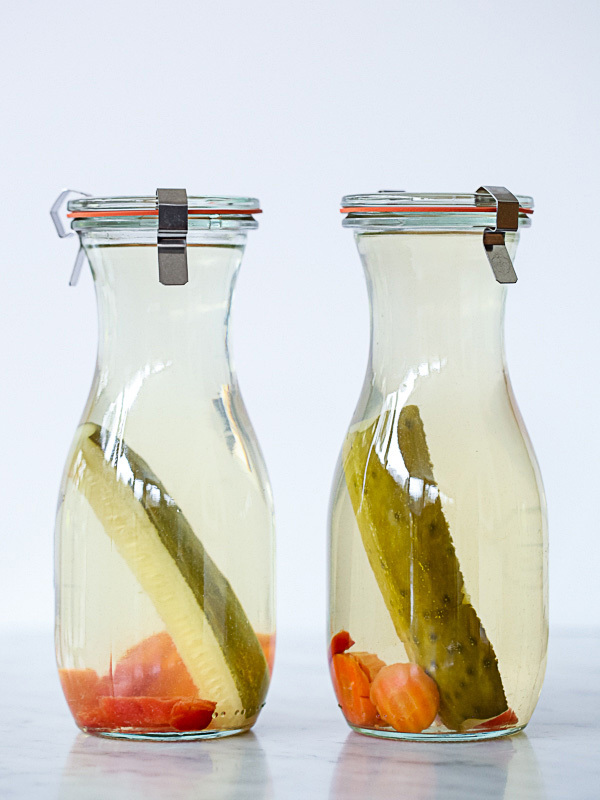 We're not just talking about any pickle-infused vodka either, but HOMEMADE pickle-infused vodka. Fresh, briny vodka balances out the acidity of tomato juice just so, and makes for a Bloody Mary that you won't be able to put down. Making your own infused vodka is easy, too. Food blogger Foodie Crush, creator of this holy of holiest vodkas, can walk you through it. Essentially, infused vodka is just vodka that's been spiked with a few ingredients and left to mellow. You can do this with lemon. Or blueberries. Even Red Hots work, too. But if you're looking to drink the best Bloody Mary your lips have ever met, we suggest trying your hand at infusing vodka with pickles first. Head on over to Foodie Crush to see how Heidi does it. And then enjoy the new level of awesomeness your brunch game has achieved.